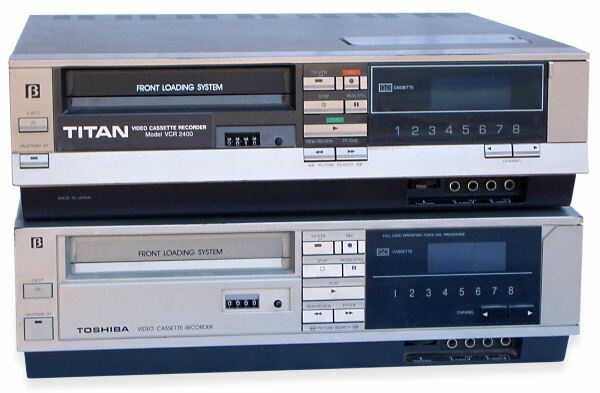 VCR2400 (top) vs V-31 (bottom) The Titan VCR2400 was a direct clone of the Toshiba V-31. It was a nice looking front loading VCR. It should be compared with the General VG-240A. It was in competition with the Sony SL-C7 and Sanyo VTC-5000. 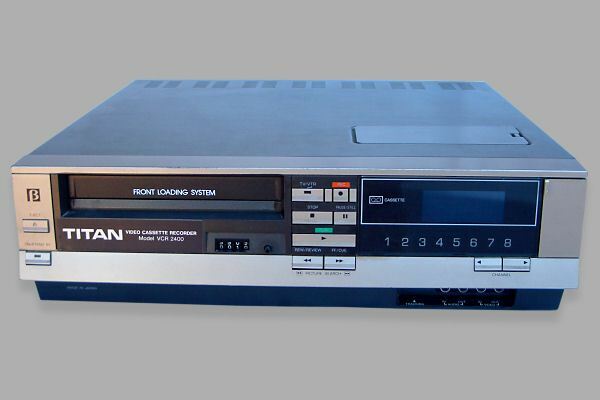 The VCR2400 was produced in silver and was quite a heavy VCR, it did not have a perfect still frame but did offer a wired remote control, a single event 7 day timer and an auto rewind feature. 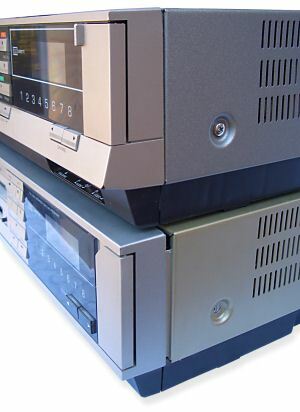 Both the VCR2400 and V-31 were unusual in the fact that they sense when a video input is provided and automatically switch from tuner to AV input. Most other machines have manual switching between the two modes.